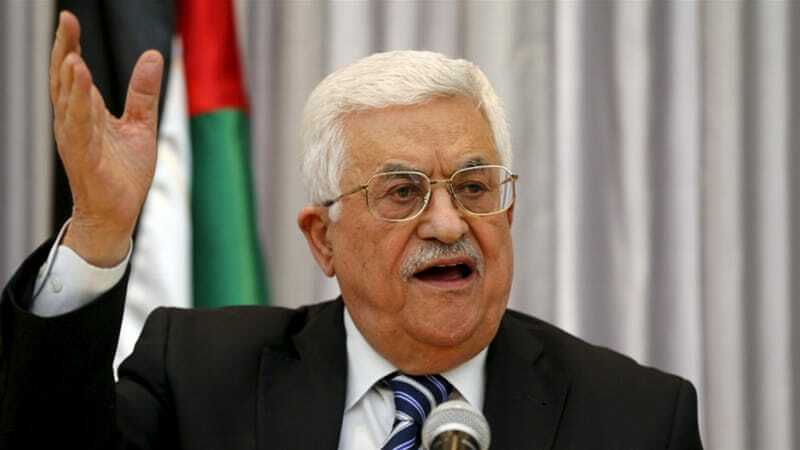 The Palestinian government submitted its resignation Tuesday, a statement said, a move seen as a bid by president Mahmud Abbas to strengthen his position as a decade-old political split deepens. Analysts view replacing prime minister Rami Hamdallah after five years as part of Abbas’s efforts to further isolate his political rivals Hamas, who run the Gaza Strip. Hamdallah’s government will remain in place while a new administration is formed. The government “will continue to serve our people wherever they are and shoulder all its responsibilities until a new government is formed,” official news agency Wafa said in English following a cabinet meeting. Hamas condemned the government’s resignation, saying Abbas was seeking to establish a “separatist government” to serve his interests. “Our people need a national unity government,” spokesman Fawzi Barhoum said in a statement. It was unclear how the change of government could impact policy. Secularist Abbas remains the primary decision maker and interlocutor with the international community. Palestinian politics has essentially been paralyzed since 2007, when Islamist group Hamas seized control of the Gaza Strip from Abbas’s forces in a near civil war, a year after winning parliamentary elections. Since then Abbas’s governments have maintained limited self-rule in the occupied West Bank, while Hamas has led a rival government in the strip. Israel and Hamas, which is considered a terrorist organization by the United States, the European Union, and others, have since fought three wars in Gaza. The division between the Palestinian parties is seen as a key issue preventing progress in solving the Israeli-Palestinian conflict and improving the situation in the impoverished enclave. It was during one such attempt in 2014 that Hamdallah formed what was labeled a national unity government, with both Fatah and Hamas backing a government made up nominally of technocrats. Palestinian government officials accused Hamas of responsibility, claims the Islamist group denied. The new government is expected to be made up only of parties that are members of the Palestine Liberation Organization, which does not include Hamas or its allies Islamic Jihad. Abbas has taken a series of punitive measures in recent years to try, in vain, to force Hamas to hand over the reins of power in Gaza. Israel maintains a military occupation of the West Bank, but Hamdallah’s government has self rule in key cities. The change in government comes amid an historic breakdown in relations between Abbas and the United States. U.S. President Donald Trump has pledged to propose a peace agreement but Abbas has refused to talk with his administration since he broke with decades of international consensus and moved his country’s Israel embassy to Jerusalem in May last year. In a historic step, Ireland has become the first E.U. state to vote on banning imports from illegal settlements. The introduced bill applies to territories where there is a clear international legal consensus on the status of occupation. Occupied Palestinian territories would fall under this legislation. Last Week, the Dail (Irish Parliament) voted 78 – 45 passing the bill, with three members abstaining. Various United Nations Security Council and General Assembly resolutions hold the international consensus that the state of Israel currently occupies East Jerusalem, the West Bank, the Gaza Strip, and the Golan Heights.